We avoid them in formal writing but they pepper our emails … In 'Ellipsis in English Literature', Dr Anne Toner explores the history of dots, dashes and asterisks used to mark silence of some kind. The focus of the book – the first to look exclusively at the backstory of these marks – is communication. Ellipsis in English Literature looks at the history of the marks used to signify a pause or tailing off in speech. Its author, Dr Anne Toner, is not a grammarian in the conventional sense but an academic with a particular interest in how writers communicate with readers using the range of punctuation marks available to them. Toner traces in scholarly, and often witty, detail the backstory of a contentious punctuation mark. Its origins lost in the vagaries of early manuscripts, and vilified as sloppy as it became common in printed books, the ellipsis was embraced by writers as diverse as Ben Jonson and Percy Bysshe Shelley, Jane Austen and Virginia Woolf. Its champions have ranged from Laurence Sterne to the creators of the Superman comics. Ellipsis, in its various forms, signifies silence – a lapse or pause or textual omission of some kind. Toner’s focus is on printed text and on authors carefully selected for their pioneering use of punctuation. 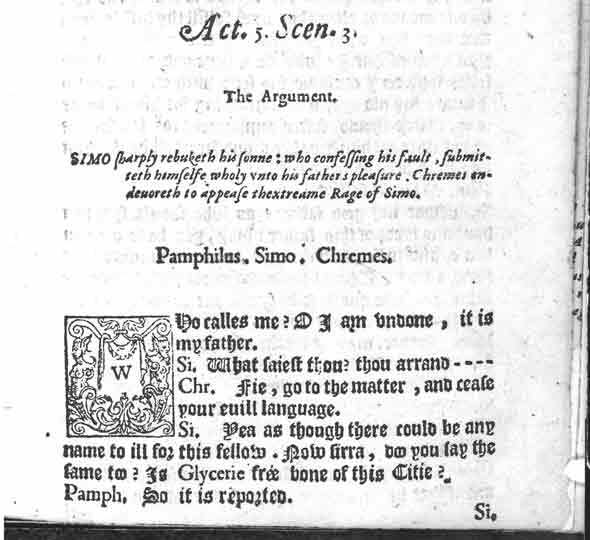 The earliest ellipsis in Toner’s case studies occurs in an edition of Terence’s Andria, a play translated into English in 1588 by Maurice Kyffin. The ellipsis in Andria takes the form not of dots but a series of short dashes or hyphens (sometimes three, sometimes four), also known as breaks. The ellipsis took off fast – proof, surely, of its usefulness. Kyffin’s 1588 Andria contains just three examples. In a translation of the same play in 1627, there were 29. They appear in Shakespeare’s plays and in great abundance in Jonson’s. In 1634 a schoolmaster called John Barton wrote in The Art of Rhetorick that “eclipsis” is much used in playbooks “where they are noted thus ---”. They could register the most significant dramatic events. In the first folio edition of Shakespeare’s Henry IV, Part I, to use Toner’s words, “Hotspur dies on a dash”, his last words cut short. In early texts especially, it is not always easy to determine who exactly is responsible for marks of ellipsis, whether they originate with the author or in the printing house. The mark that was chosen would often have depended on what a printer had available. Dots also began to be used by the early 18th century for the same purposes, probably influenced by continental practice. It was only in the 19th century that the dot, dot, dot began to develop its own distinct connotations. The ellipsis might have been useful and persistent, but not everyone approved of the incursions made by this little interloper. Some words, and some actions, are indescribable (better left to the imagination) or unprintable (too rude). For this last purpose, ellipsis marks became the tool of the censor. But authors can work censorship creatively for their own means. What can’t be said can be hinted at with an ellipsis and a well-placed ellipsis can itself convey something risqué, frisky or downright sordid. But not only that, early on, different types of ellipsis were condemned as marks of lazy writing. The dash was slammed as over-casual and ill-disciplined – slapdash. In the 18th century, Jonathan Swift pointedly rhymed “dash” with “printed trash”, while Henry Fielding chose the name ‘Dash’ for the unlikeable grub-street writer in his play The Author’s Farce. Likewise in the 20th century, in an essay on punctuation marks, the philosopher Theodor Adorno associated series of dots with a commercialised form of writing. 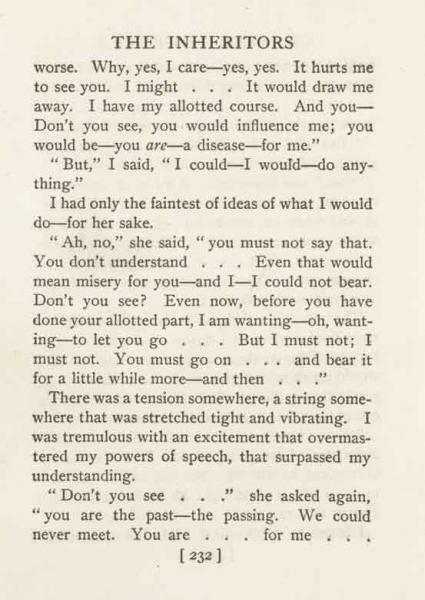 Ford Madox Ford and Joseph Conrad used ellipsis points over 400 times in their relatively short novel The Inheritors, to mark unfinished sentences, as well as to create an atmosphere of the hazy, the vague and mysterious. The critics were savage. As recently as 1994, Umberto Eco decried the “ghastliness of these dots”. The unorthodox nature of the ellipsis has posed problems for those who want language to be more governable by rules. In consequence, over the course of the 19th century, ellipsis marks began to be standardized in appearance and defined by usage. Lindley Murray’s extraordinarily successful English Grammar, first published in 1795, did much to promote the dash as a respectable mark of punctuation. Murray listed the mark alongside the primary marks of punctuation (following those heavy-weights, the period and colon), though continuing to warn against its improper use “by hasty and incoherent writers”. Printers also preferred a uniform method of punctuating, not least to accommodate the rising rates of book production over the course of the 19th century. The creation of a printed text is a collaborative effort between writer, editor and publisher, printer and proof reader with the power of punctuation lying largely in the hands of the printing house. The journey that text makes from the author’s pen to the printed book in the reader’s hand makes it susceptible to multiple forces of intervention, particularly in matters of punctuation. Where manuscripts survive, we do have certainty about authorial intention and preference, though still complications can remain. Jane Austen, for example, made use of both dashes and series of dots when writing a number of her juvenile works which remained unpublished in her lifetime. In her printed novels, dots appear occasionally to signify incomplete sentences and interrupted dialogue. In spite of Austen's early employment of dots, it is hard to determine whether the few examples in her mature novels are hers. Centuries before the first emoticons popped up on our screens, authors have responded to punctuation’s pictorial possibilities. Erasmus saw round brackets as crescent moons and named them lunulae. Asterisks are stars (visually and etymologically), and have been exploited as such, most notably in Sterne’s Tristram Shandy in which the eponymous hero loses his way as he tries to follow those starry marks. In the 17th century, ellipses are often known as ‘eclipses’ (singular, ‘eclipsis’) – heralding a brief darkness. Journalist and broadcaster Lynne Truss sees them as black holes. Nebulous in some contexts, the ellipsis is prescriptive in others. Theodor Adorno saw repeated dots as impressionistic, a typographical shorthand for “an infinitude of thoughts and associations” beyond the communicative powers of the hack journalist. Samuel Beckett employed those same dots in his drama as unnervingly precise instructions for delivery. One actor working with Beckett understood them as musical rests and records counting the number of dots in an ellipsis as beats in time. Perhaps few people imagine, as Adorno did, the semi-colon as a drooping moustache. But punctuation, and how we see and use it, as always, is in flux. There are winners, there are losers. Semi-colons are, in many forms of writing, an endangered species. The apostrophe is on the wane. Increasingly, commas are used in place of full stops. Inset images: Terence, Andria, translated by Maurice Kyffin: London, 1588 (The British Library Board, C.13.a.6 sig. Iiiiir); Joseph Conrad and Ford M. Hueffer, The Inheritors: an extravagant story: London, William Heinemann, 1901, p. 232 (Cambridge University Library). Credit: The British Library Board, C.13.a.6 sig. Iiiiir.